PowerDial™ ergonomic spray gun allows you to easily adjust the power needed between four different tasks – car, wood, concrete and soap – at your fingertips. Turbo nozzle attachment with rotating pinpoint stream is designed to remove stubborn dirt and grime off tough surfaces 30% faster than standard nozzles. Soap Blaster attachment sprays soap 3X farther than a standard nozzle tip to penetrate tough stains and improve cleaning results. 30-foot high pressure flex hose, most flexible hose in the industry; kink resistant, non-marring. Powerful Generac 196cc OHV engine delivers maximum cleaning performance. Horizontal axial cam pump with easy-access hose connections alleviates kneeling on the ground to connect hoses. Includes 4 quick-change nozzle tips: 0°, 25°, 40° and soap. 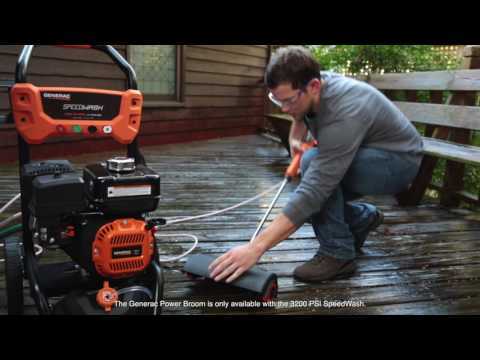 Maximize your cleaning results with this great video showcasing how to pressure wash your vehicle with the NEW Generac SpeedWash Pressure Washer! Rated 5 out of 5 by Dustin from Gift from Dad I received the power-washer from my dad for my b-day since I use his every spring. I love it. It has tons of features and simple to use. So far I have washed the house, sidewalk, car, and garage. It has tons of power the and the handle controls are easy to use. Love it! Rated 5 out of 5 by Ty22 from Overall great value compared to other brands This power washer was around or just below the price point of lesser quality power washers. Excellent quality and power. It definitely does the job better and faster than other power washers in this psi range. Maintenance is simple and the setup is initial setup is very straight forward. Rated 5 out of 5 by Firefighter from Awesome machine The pressure washer was better than I expected. The diffrent nozzles make it great for my uses around the house. Very well made. The flexable hose is very nice for storing. Overall it beat my expectations. Rated 5 out of 5 by john from Great machine This is by far the best pressure washer I have ever owned! It does phenominal work on fences and decks. Customer service backs the product as well. Rated 5 out of 5 by SC70 from This unit replaces a 2800 generac pressure washer. Great buy. Unmatched quality. I bought the 2900 Speed Washer because of the quality and reliability I got from my 2800.This machine is excellent and easy to use. The turbo nozzle is great for use on concrete especially when you add the adjustable wand, I do pressure washing for my church and this machine makers it quicker and easier to do. I recommend this pressure for any one looking for an excellent home owner pressure washer with the features of a professional machine. Rated 5 out of 5 by Blaine from Great experience so far I bought this at a local lawn and garden business. They service everything that they sell. After reading reviews on a lot of different pressure washers the service and support was important to me. So far I am very happy with this product. 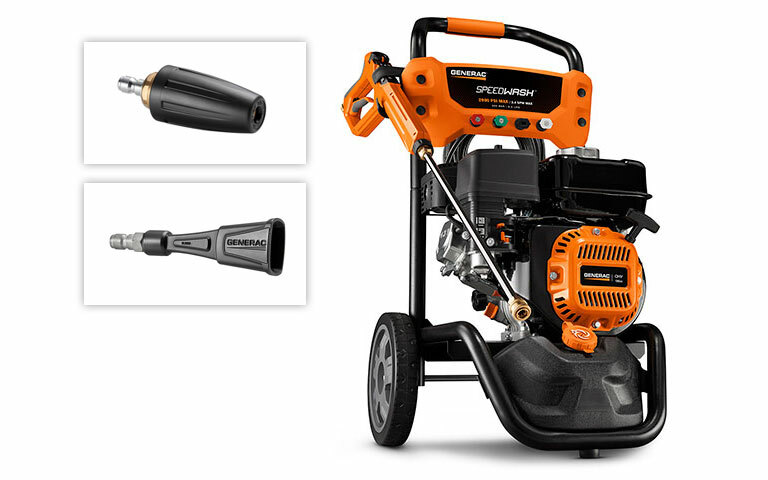 Speedwash 2900PSI Pressure Washer System 6882 is rated 4.8 out of 5 by 72.